In the first quarter, Prologis sold assets in Austria, Germany, Poland and Slovakia for a total of €46 million. It also disposed of 25 hectares of land in Germany and Slovakia. Prologis strengthened its position in the region and maintained a record-high occupancy rate of 96 percent. At quarter-end, the company’s operating portfolio was 4.6 million square metres of logistics space in 43 parks. The company leased more than 390,000 square metres, including new lease agreements totalling 125,000 square metres and lease renewals of 230,000 square metres, with the balance short-term agreements. 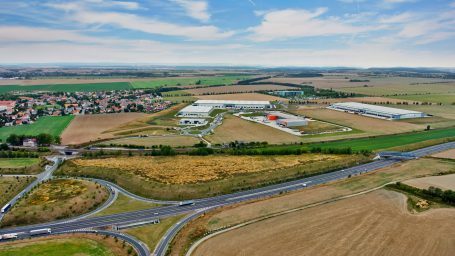 Prologis delivered eight buildings totalling 121,000 square meters in Poland, the Czech Republic, Slovakia and Hungary; another four fully leased facilities totalling more than 120,000 square meters are currently under construction.